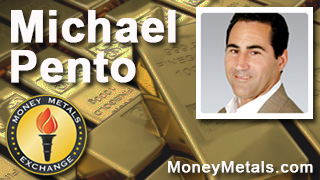 This week we’ll welcome back Michael Pento. He released some 2016 financial market predictions a couple of months ago, and they are ALREADY playing out right before our eyes. I’ll ask him what he sees ahead for the markets now and what he sees for gold.